Keeping cohesion among a remote workforce. As organisations strive to attract and retain talent, there is a critical need to differentiate through employer branding, offering something distinct from the competition. No longer do the millennial perks of table tennis and treats meet the ever-changing expectations of a modern workforce. 21st century benefits are about flexibility and facilitating work -life balance. A movement embracing remote and telecommuting workforce’s is well underway with many organisations including Dell, embracing a blended approach (part remote, part present). 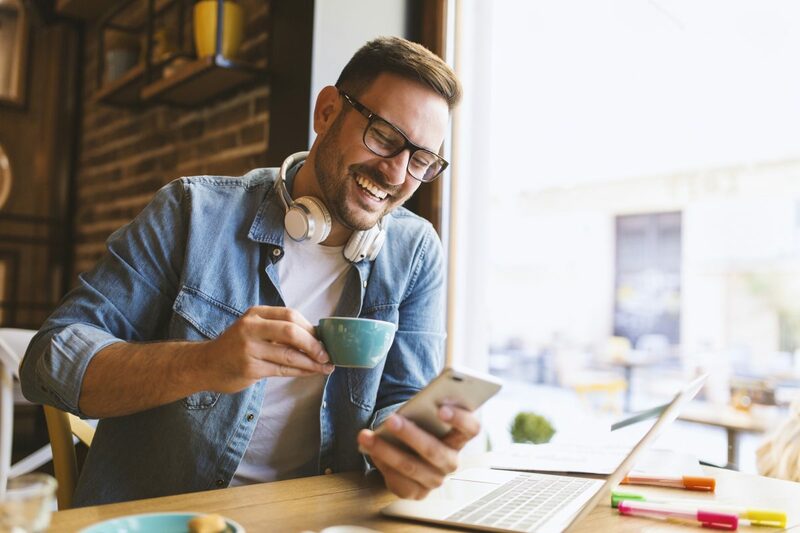 With new specialist recruitment services such as Abodoo offering platforms to match remote workers with employers seeking talent, it seems inevitable that remote workforce’s will become increasingly popular. This new structure brings significant benefits to employers, employees and local communities. In Ireland, for example, the team behind Grow Remote are working with rural communities to create employment opportunities with remote employers. An initiative which will inevitably rejuvenate the economy within these smaller communities. Beyond the benefit of work-life balance, individuals who work remotely can gain financially by living outside of cities without incurring commuting cost. Businesses too can make financial gains by embracing remote teams, reducing fixed costs associated with property rental and decreasing environmental impact costs. Additional support for the remote workforce business case can be found in the figures reported in a 2017 inc.com article which suggested that collaborative open plan offices are hampering concentration and productivity of employees. Without doubt, there are significant arguments for a remote workforce. However, a remote model isn’t one which will work for every business or employee. Situational factors such as technology infrastructure will influence how cohesive and effective a remote team can be. At a very basic level, technological infrastructure within a region must be in place to facilitate the possibility of remote working. For a team to work cohesively however, the required technology infrastructure of an organisation must be comprehensive, designed to connect and engage people, provide easy access to information and deliver the same employee experience to remote, telecommuting and onsite workers. Instant messaging and video conferencing software are essential for effective collaboration. New VR and AR innovations are striving to replicate the in-person meeting experience. Further to facilitating the cohesive execution of tasks, technology also plays an essential role in keeping remote workers engaged with the company mission and facilitating workplace friendships. For example, recognition platforms allow for global, remote and even gig teams to give and receive praise, keeping the entire workforce up to date via a digital newsfeed, instilling a sense of pride and purpose. One concern which often arises in the remote working dialogue is employee mental health. It’s difficult to notice those subtle changes in demeanour when a colleague is not physically present. So how can an organisation leverage technology to support an individual from afar? Firstly, surveys provide a method of gathering regular feedback, bite size pieces of information can generate all the information you need. Workday for example, have feedback Fridays an approach which is sensitive to the busy schedules of employees, therefore asking just one or two different questions each week. This regular feedback provides a gauge for a variety of metrics related to job satisfaction and engagement, an approach which can be easily tailored to gather wellbeing related feedback. Further support can be found in digital wellbeing tools such as POWR, which empower employees to self-manage their own wellbeing while providing management with insights pertaining to company-wide wellbeing. While technology alone will not result in high performing remote teams, it is one of the foundational building blocks which supports managers and teams to work at their best. Platforms provide a central point of reference where all employees can connect with peers, find information and stay up to date, streamlining the everyday experience. Author: Sara Glynn – Marketing & Customer Success Manager @ Wrkit.